With the intensive release of the performance announcements of listed companies, the cleansing of the ST camps in the two cities has basically been settled. From the current situation,Salt Lake StockThe probability that some of the A-share companies represented by the A-share company will be processed by *ST after the annual report is extremely*ST DatangSome of the companies represented in the ST camp are now expected to apply for the cap after the disclosure of the annual report, restoring 10% of the trading liquidity and financing functions. Tenjin EntertainmentIt is estimated that the annual loss will be 7.3 billion yuan to 7.8 billion yuan, equivalent to about 1.8 times its market value, and it will become the "pre-loss king" of the 2018 annual performance. If we sort the pre-loss companies by the pre-loss limit, we will find thatDo notLess companies not only suffer a single-year loss, but also face *ST processing due to the trigger for a two-year loss. Salt Lake Co., Ltd. recently disclosed its 2018 annual results forecast. The company expects a loss of 3.2 billion yuan to 3.5 billion yuan for the whole year, compared with a loss of 4.159 billion yuan in the same period last year.According to the relevant regulations of the Shenzhen Stock Exchange, if the company loses its performance for two consecutive years, the company's stock will be subject to the delisting risk warning after the disclosure of the 2018 annual report, which is handled by “*ST”. Not only that, the company bond “12 Salt Lake 01” issued by Salt Lake in 2012 will have the risk of suspension of listing. In 2017, Salt Lake’s loss of 4.159 billion yuan was the first annual loss since the company’s listing, and the main part also occurred in the fourth quarter of the year. In the fourth quarter of 2017, the company's net loss was 3.3 billion yuan, while the total loss in the first three quarters of the year was only 859 million yuan. In 2018, the company's operations have not improved, and its performance has recorded a loss every quarter. At the same time, during the whole year of 2018, the share price of Salt Lake shares fell by 50%. The company that will be treated by ST is far from a salt lake company. According to Wind statistics, includingSteyr,HippocampusAmong the many A-share companies in China, the probability of negative net profit for two consecutive years in 2017 and 2018 is very large, and it is almost nailed to ST in the first half of this year. It is worth noting that the losses of some companies are closely related to the large amount of accruals. Taking Steyr as an example, the company issued a performance forecast on January 30. It expects a net profit loss of approximately 1.29 billion yuan in 2018 and a loss of 169 million yuan in the same period last year. During the reporting period, the company reduced the development expenditure of unfinished research and development projects, resulting in an increase of approximately 540 million yuan in research and development expenses for consolidated statements, an increase of approximately 90 million yuan in inventory impairment, and an impairment of goodwill of approximately 97.17 million yuan for long-term goodwill. The provision for impairment of equity investment is approximately RMB 125 million; it is proposed to make provision for impairment of all financial management capital of RMB 130 million. Haima Motor expects a loss of 1.2 billion to -18 billion in 2018, which is related to the accrual of accounts receivable. The company said that the company's automobile production and sales fell sharply year-on-year; the company's inventory of vehicles, backlog of inventory, idle equipment, etc. according to accounting standards and accounting system for impairment testing and provision for asset impairment losses; the company's overseas export projects subject to changes in the international situation Impact: There is a significant risk in the export receivables. The company conducts a single impairment test on the accounts receivable and makes provision for impairment of assets. In the A-share companies that have already encountered ST processing, there has been a clear differentiation. After the fourth quarter, major risk warning stocks have launched a shell war,*ST South WindIt is expected to be shelled by stripping assets,*ST TianyeGet a large debt settlement,*ST LankeCarrying out high-value equity transfer, etc. After the shell war, a batch of ST shares will usher in a temporary respite. Take ST Fangu as an example, it has been losing money for two consecutive years. *ST Van ValleyIn the first three quarters of the company, the loss in the first three quarters was 5,282.8 million. In November last year, *ST Fangu introduced the Huaye strategic investment and Huaye value investment in the background of local state-owned assets. The real controller, Meng Qingnan, transferred the shares to the other party for a total of 107 million shares, accounting for the total share capital. 19%, the transfer price is about 4.43 yuan / share, the total price of 475 million yuan. Soon the initiative received results, the company's land was recovered by the earth storage center for 290 million yuan, and the company's large-scale probability of shelling is worry-free. However, there are still more than 10 companies losing their profits. Among them, *ST Huaze, *ST Zhonghe, *ST Shangpu, *ST Hairun have been suspended due to continuous losses. From the current situation, the four companies failed to achieve reversal in 2018, and they were all overwhelmed. The probability of exiting the A-share market is extremely high. 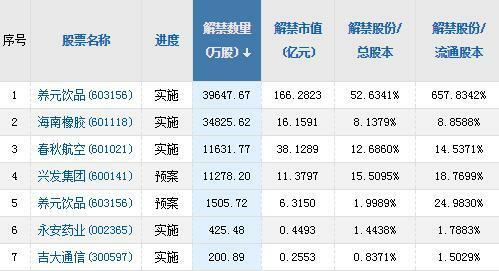 The rest of the performance continues to lose stocks,ST Yangfan,ST HongshengTwo shares may wear stars,*ST bus,*ST BaoqianThe other six shares are at risk of suspension of listing. Among them, *ST bus lost 641 million yuan in 2018, although the loss is significantly reduced compared with 2017, but the road to turning losses is still far away. However, in the existing ST camp, there are also more than 10 companies that are expected to apply for hat removal. From the performance forecast, the amount of profit,*ST Haitou,*ST Tianhuawith*ST new energyThe 3 shares are expected to exceed 100 million yuan in net profit in 2018. *ST Xinneng ranked first in the profit amount with a projected net profit of 950 million yuan. However, in terms of profit acquisition methods, most companies' profits in 2018 mainly depend on non-operating income such as major asset sales and restructuring. With the intensification of the ST sector, some organizations have encountered difficulties in advance and retreat. Take*ST DonglingFor example, many institutions, including Tianjin Saifu, made a surprise attack on *ST Dongling before and after 2015. However, with the collapse of the reorganization of gambling, many investments have not been reduced so far, and the market value has shrunk by more than half.It is impossible for the capital operation to withdraw from the profit, and it is not willing to pay the price to pay off the market. It has become a dilemma faced by many institutions. Excellent choice! Strictly verify that the major index rules need to be changed. ST shares will be eliminated on a monthly basis. SZSE believes that the rules of each index should be changed: ST shares will be eliminated on a monthly basis.